It’s 11.00 am and I’m sitting in the cafeteria at the Bioparc enjoying a nice cup of coffee and a croissant. The forecast is for a hot sunny day so I will need to see the animals this morning before it gets too warm and they disappear to sleep in the shade. This must be one of the best cafeterias in the world, looking out onto what is known as the “Savanna”. At this moment I’m watching three giraffes walk past about 20 feet away, and in the background are waterbuck, impalas and an assortment of birds. What’s more is that the prices are very reasonable so you don’t feel ripped off like you do at many attractions. At this time of day the parc is fairly empty but I can see a school party in the distance which I will attempt to avoid. 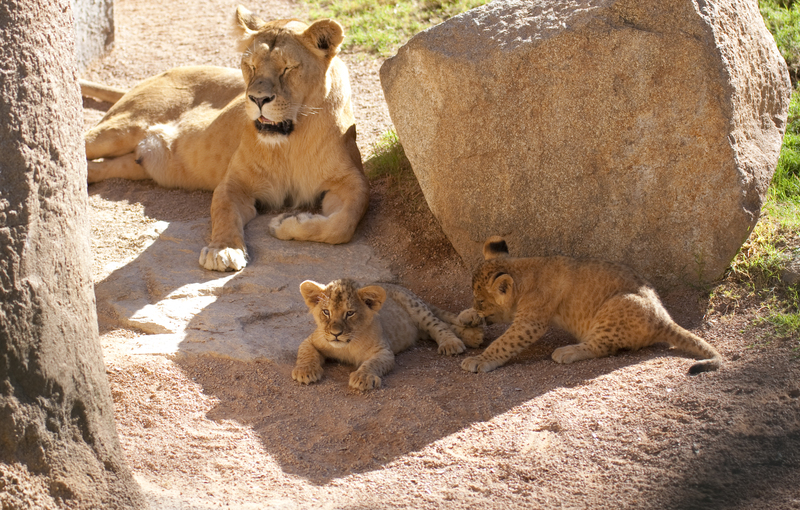 Today I am going to try and get some photos of the new Lion cubs which were born on August 6th. After a period of acclimatisation this is the first week they have been shown to the public. 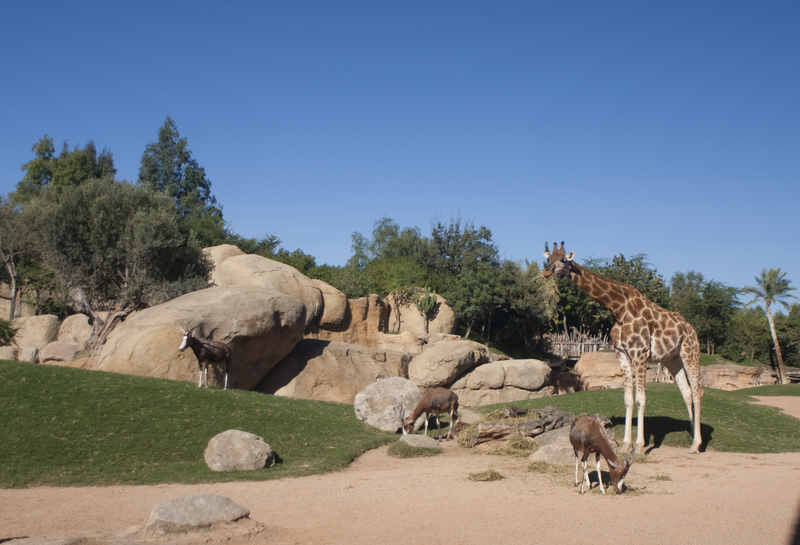 The Bioparc has had a very successful breeding programme which to date includes baby Chimpanzees, Zebras, Giraffes, Waterbuck, a Gorilla, Lemurs, Leopards, a Hippo (I think) and Meerkats. I do not have a definitive list so there may be others too, all of which goes to show that the animals are well looked after and happy in their surroundings. 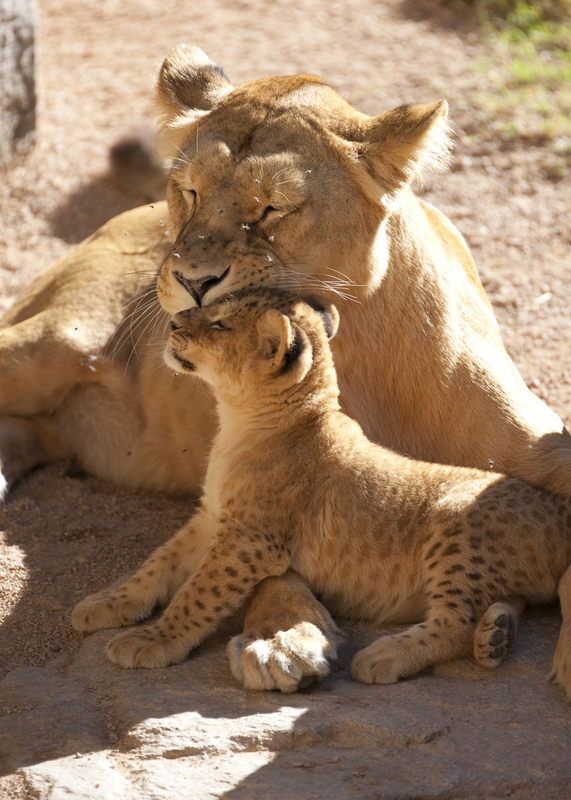 The two new Lion cubs are the second set of cubs born at the Bioparc the first being born shortly after the mother arrived in 2010. The mother called Sortuda and the father Teimoso are both 9 years old. There is also another female, Luana who is 5 years old. 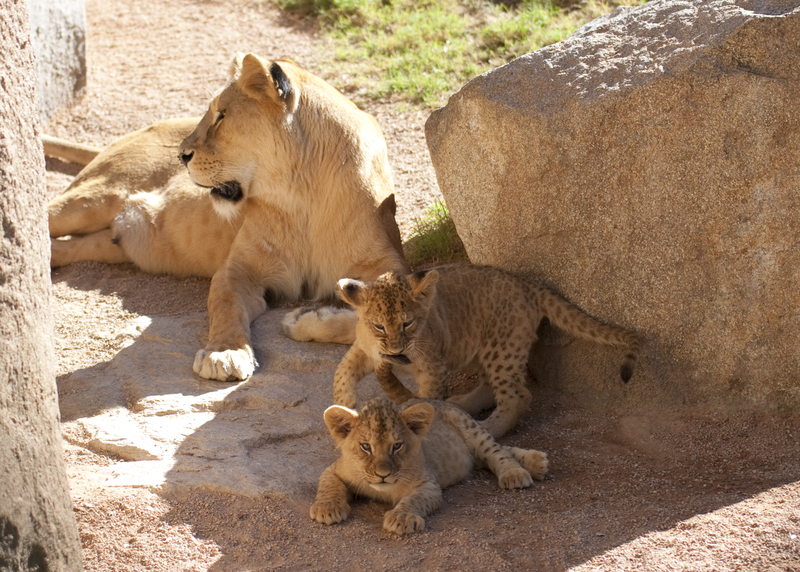 They all came from Lisbon Zoo in October 2010. They live in a fairly large enclosure with two huge plate-glass windows on one side for viewing and an open view of the “Savanna” area on the other side, a large ditch prevents them from attacking the animals roaming the Savanna. There is also an open viewing area with a small lake in front which is where I’m heading to get some photos. When I arrived there was no sign of the cubs, however I set up my equipment and waited. During this time many people arrived and went, probably oblivious to the fact that the cubs were on show. My patience was rewarded however when they both emerged with the mother and stayed in view for some considerable time. Here is a small selection of some of the shots I managed. Of the two cubs, one seemed to be more adventurous than the other and played with its mother, venturing into the centre of the enclosure and seemingly at home in its surroundings. The other was very interested in its siblings tail but chose to stay close to the cave and hid from view for much of the time. The father was quite shy today and I only managed to catch a quick shot before he disappeared again. 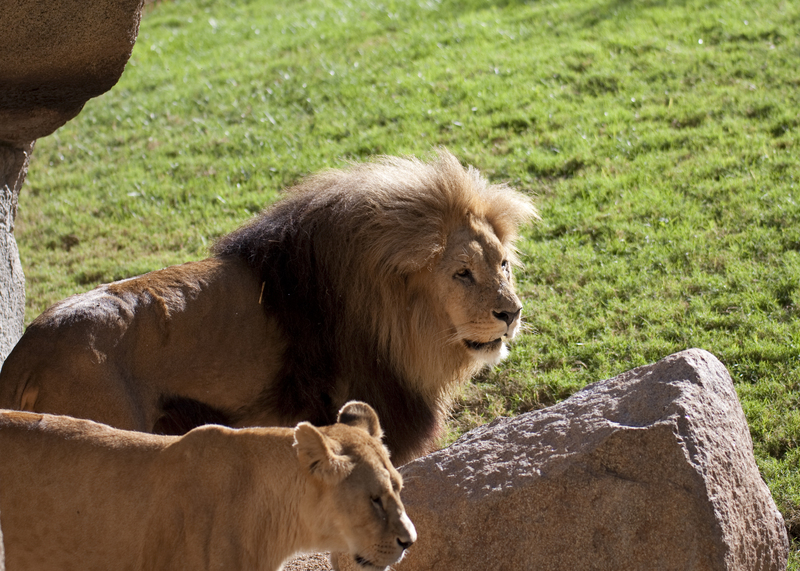 After an enjoyable time with the Lions I spent a few more hours savouring the sights and sounds of the Bioparc before watching the spectacular bird show, but that will be another topic for my blog in future weeks.